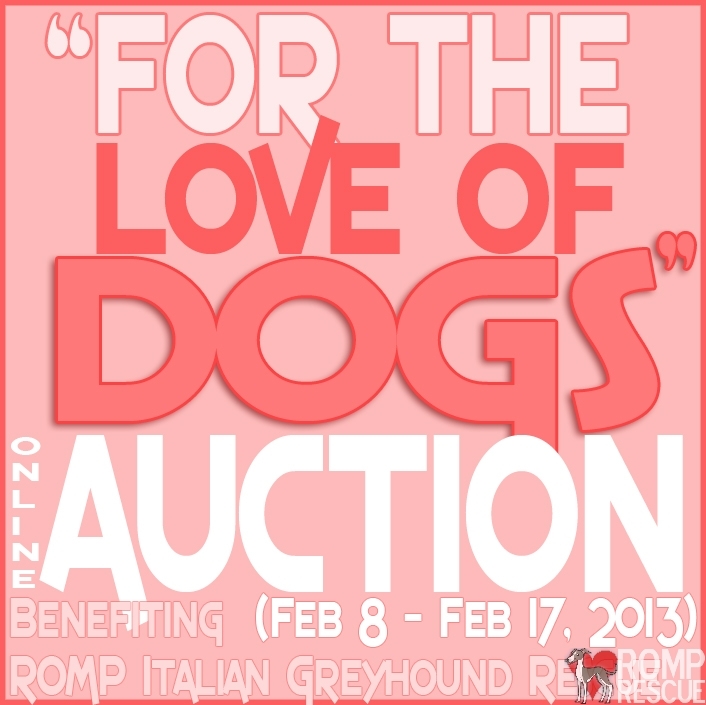 The ROMP Italian Greyhound Rescue Online Fundraiser Auction is in full swing! 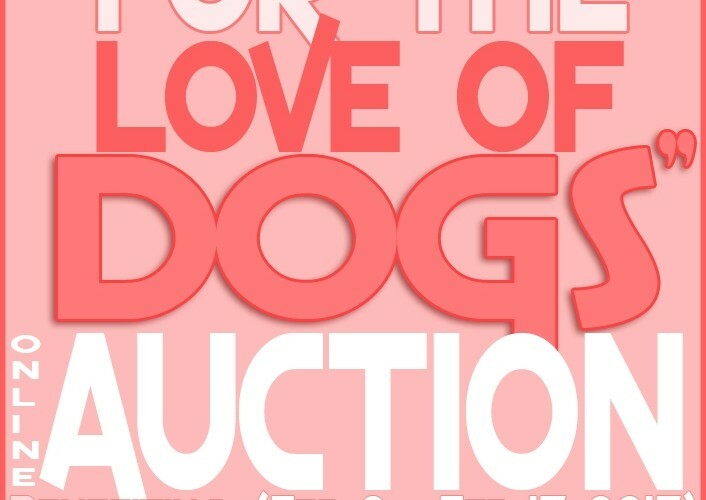 We are calling it the For the Love of Dog auction in honor of Valentine’s day! Check out the newly posted items and be sure to check back throughout the week for new auction donations! We have things for big dogs, little dogs, pet lovers and even kitties! Your support will allow us to provide the vetting necessary to prepare our pups for their forever homes and treat those with more serious illnesses or in long-term fostercare. If you are looking for a good deal, no need for promo codes or coupon codes – most of these items in our Online Fundraiser auction have no reservation! Get a discount on an awesome item, spoil your dog, and help out a great rescue in the process! Click the link below, we are hosting our auction on our Facebook page! All items for our Online Fundraiser are listed in our facebook album above, but here are a few highlights of the items we have up for auction! 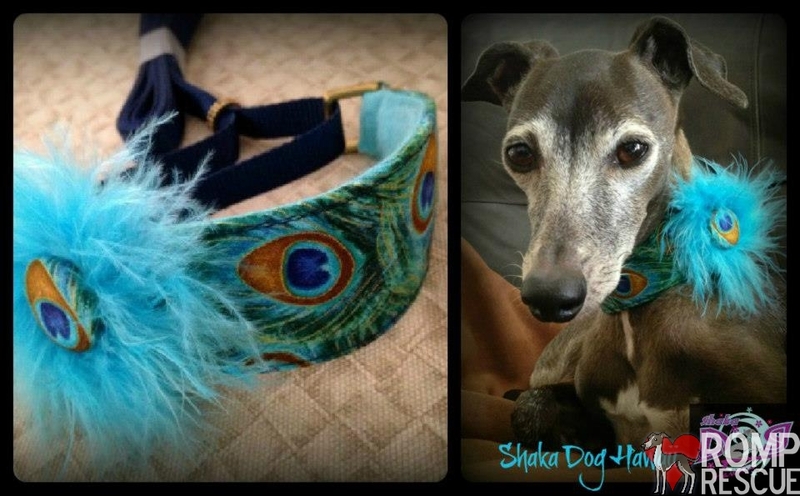 This cute little custom made Italian Greyhound collar and leash were donated by Shaka Dog Hawaii! 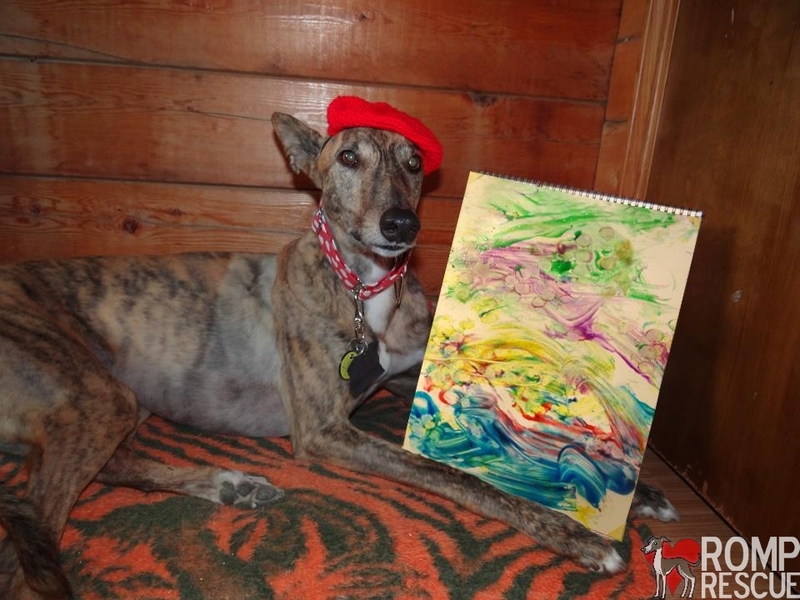 A one of a kind art work created by Radar the painting dog is in our online fundraiser auction this week as well! 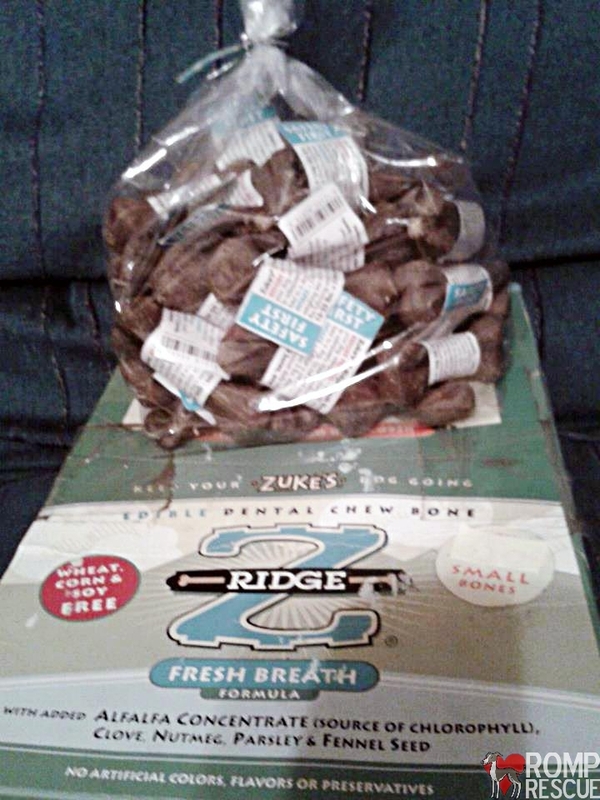 We have a bag of 40 Zuke’s Z-Ridge fresh breath formula (all natural, made in the USA) is in our online fundraiser auction this week! This dazzling custom made romper from Lupitas Chic Boutique is up for auction! 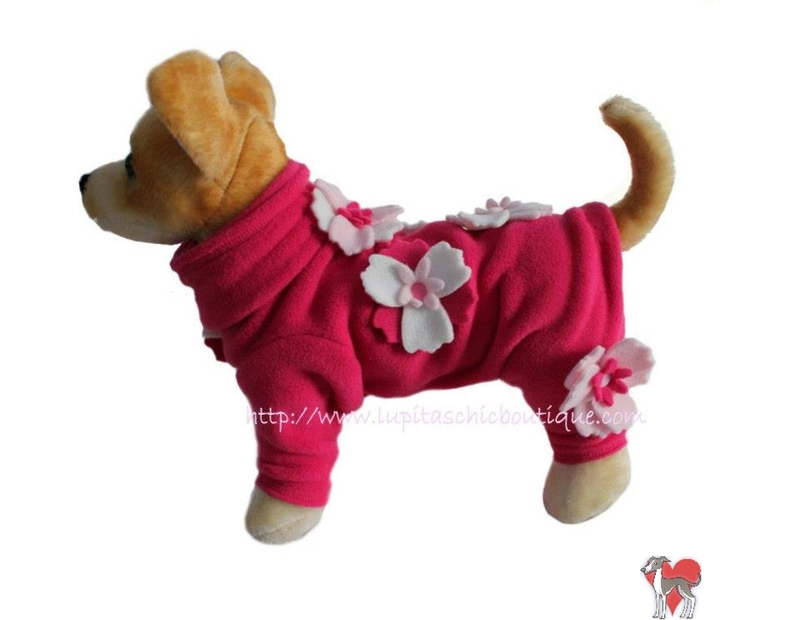 The flowers are detachable and the item will be fitted for your dog! Your furry fashionista will be the bark of the town in this adorable Italian Greyhound outfit (it will be made to fit any dog up to 20lbs). Click our link at the top to put your bid in and help out ROMP Rescue! 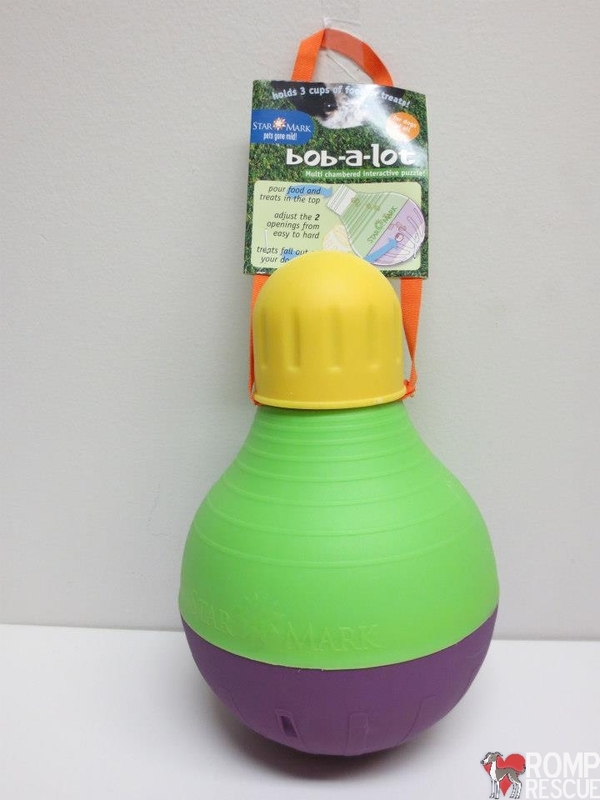 I can’t say enough great things about the Bob-O-Lot toy! It’s also up for auction at the ‘For the Love of Dogs’ online fundraiser auction supporting ROMP Italian Greyhound Rescue! We have kitty items too! 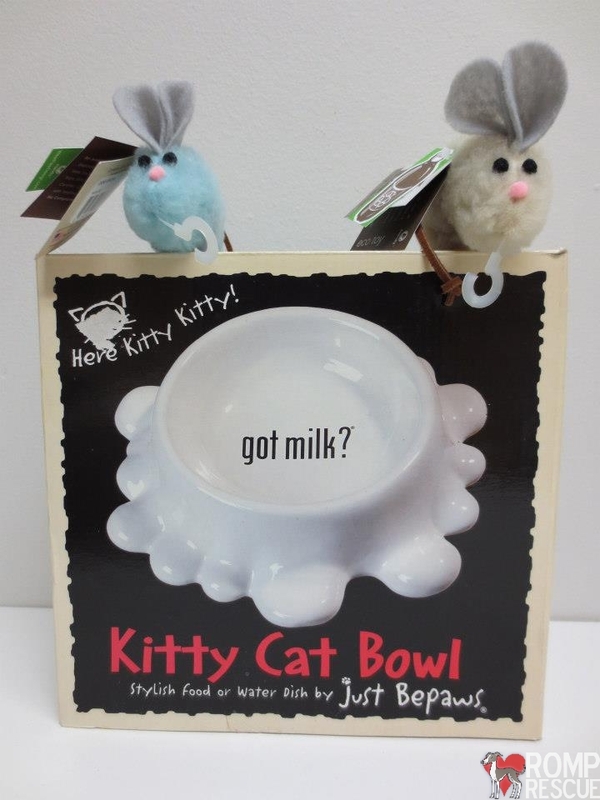 This kitty cat bowl from Just Bepaws is a stylish food or water dish that says, Got Milk? If you big on this item you will get 2 kitty cat toys too! These adorable magnets are from SillyDogMagnets! 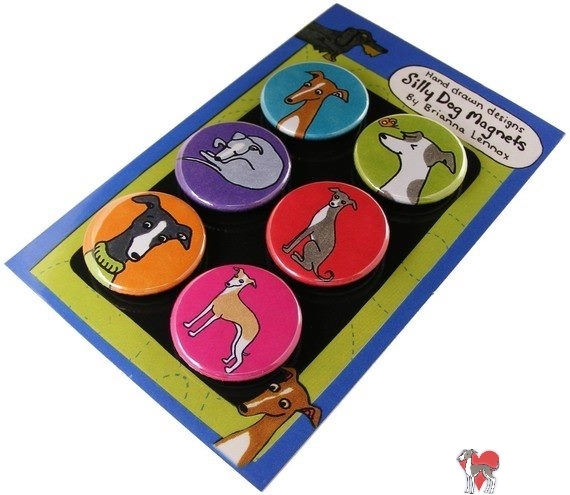 She makes magnets for various dog breeds, they are a great gift and even better for people that truly love their dogs! Find it in our online fundraiser auction, happy bidding! 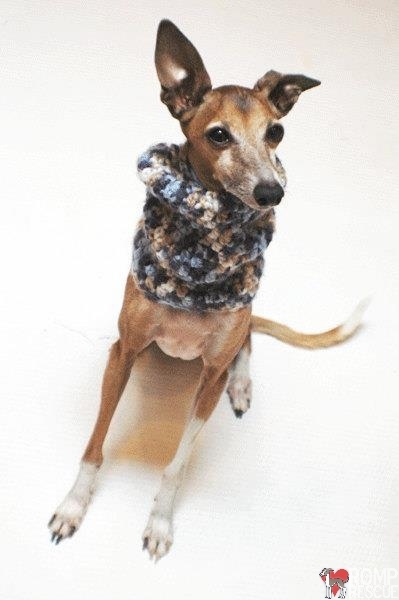 This stylist crochet dog snood by DaFoxx is up for auction, keep your furry friend warm this winter with a cozy neck warmer! It’s great for Italian Greyhounds, Chinese Cresteds or any dogs that need some extra protection in the elements. It’s machine washable too! My Little Greyhound makes unique greyhound items from custom made designs. 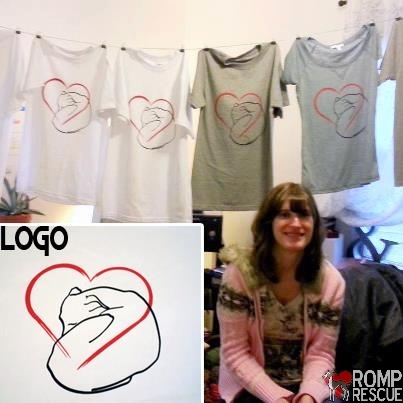 Up for auction we have a grey, size large shirt sporting an Italian Greyhound heart logo! We also have a fleece TurboThreads aka Turbo Threads snood in a sock monkey pattern! 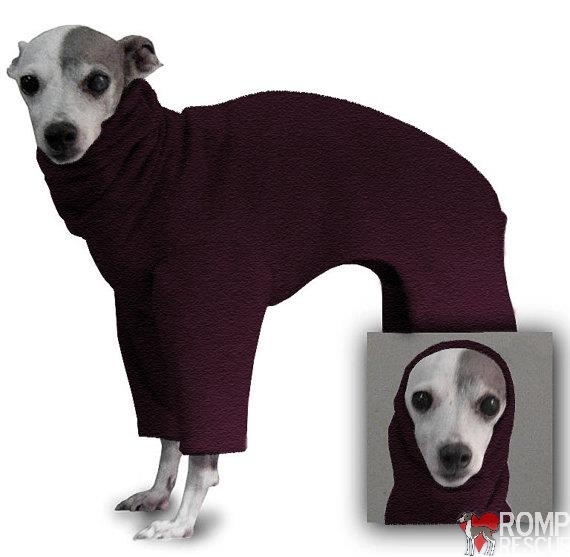 It will be custom made to fit your Italian Greyhound! 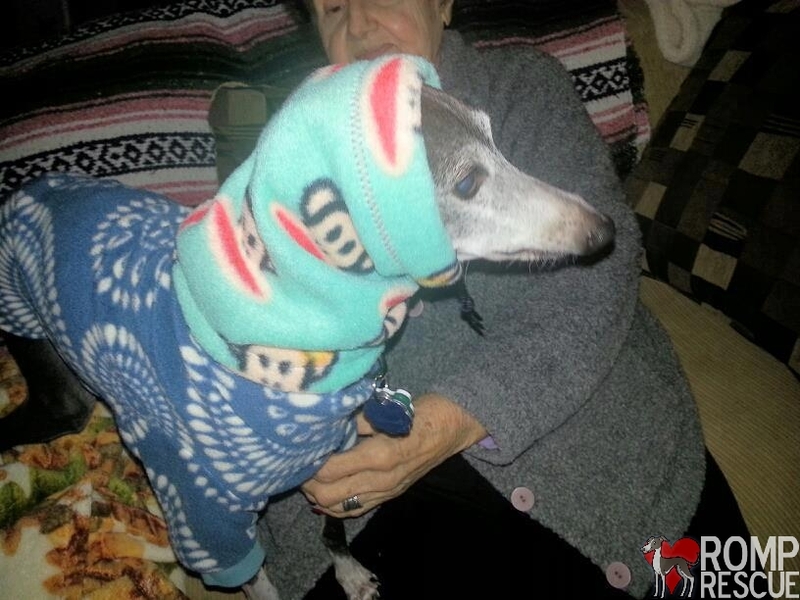 Beehive Trading Company provides SnuggleWearLux custom made clothing for your Italian Greyhound (or other dog). It’s a great piece and the burgundy merlot unisex color is up for auction! Click the link at the top of the page to bid! If you are looking for a fabulous harness for your Italian Greyhound that is ‘escape proof’, comfortable and stylish – look no further! 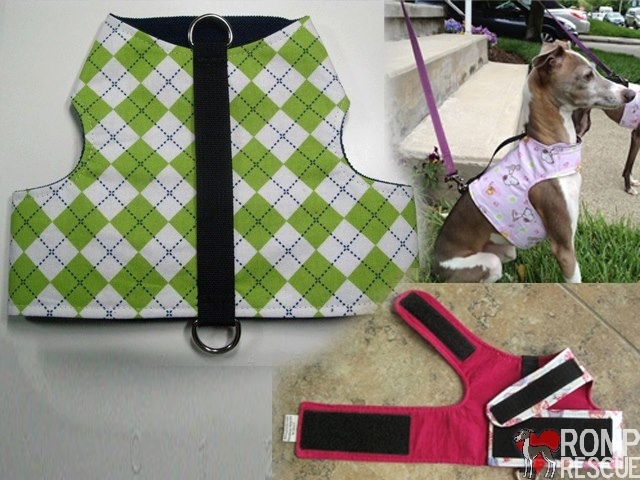 The Reversible Harness Vests by Linda aka RHVL makes amazing harnesses to fit your Italian Greyhound, it is reversible so there are two ‘looks’ you benefit from and they are so strong you can even pick you dog up by the handle! A must for any skiddish IG owner! 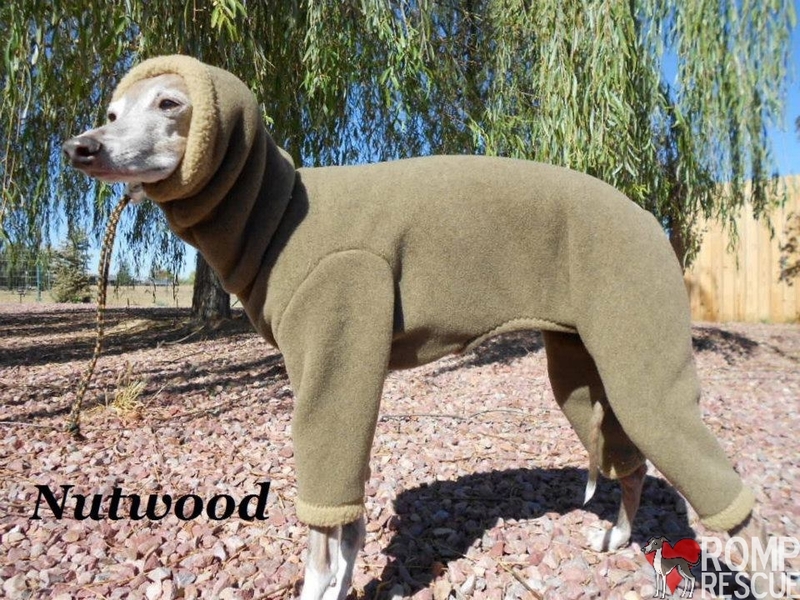 In these winter months you need to make sure your Italian greyhounds feet are protected from the Elements. 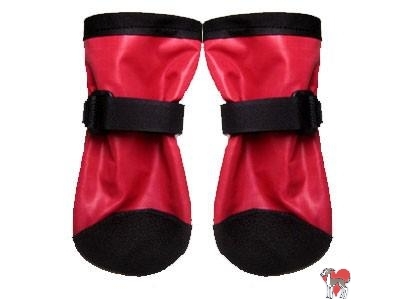 These custom made dog booths by Woof Woofs Custom Made boots will do the trick! Available with a fleece lining and sized to fit your dogs foot, it’s a great solution to the cold, salt, and nasty winter elements! Bid now! You may pamper your pooch but don’t forget to pamper yourself! 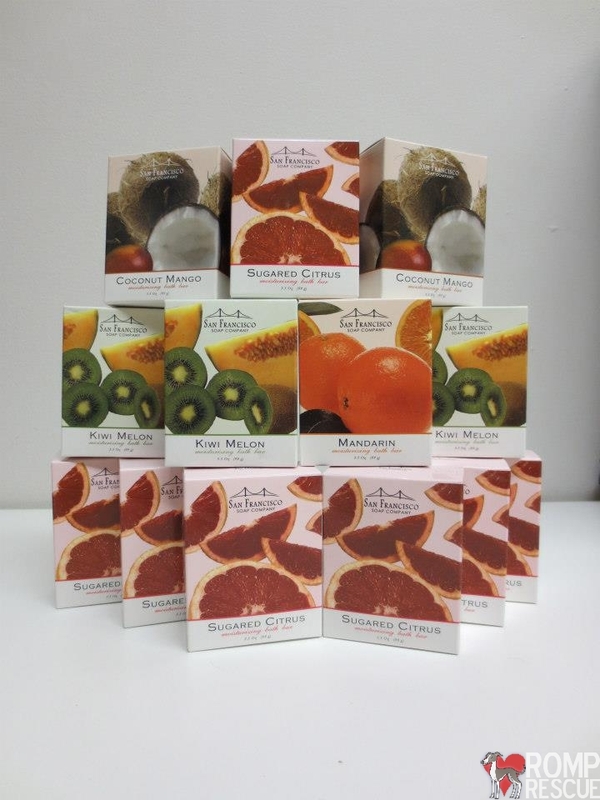 These sugar scrubs by the San Francisco soap company are great! Get this whole lot if you win the auction, click on the link at the top of the page to put in a bid! The Honest Kitchen has a series of yummy, healthy, organic dog treats up for auction at the For the Love of Dogs ROMP Italian Greyhound Auction! We are lucky in Illinois to have a great pet company, West Paw Design. 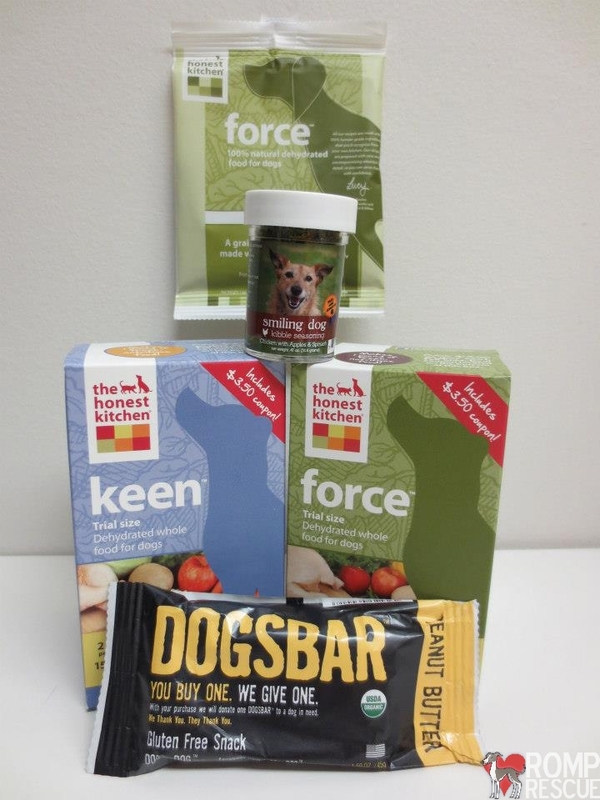 They made 100% recyclable dog products and have the huck and zisc zogoflex items up for auction! They are eco friendly, made in the USA and dogs give them two thumbs up! Win the bid in our online fundraiser auction, and these two are yours! 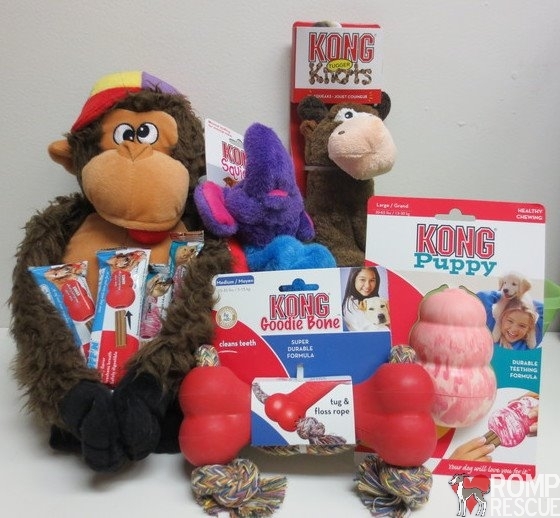 KONG is a must for any pet and this lot of KONG items will be sure to keep your dog happy for dozens of hours! With the Kong goodie bone, kong treats, Kong puppy products, Kong squeaky toys and Kong Knot products – you’ll be a Kong connoisseur if you win the bid! Click the link at the top to bid in the online fundraiser auction and help our Rescue! 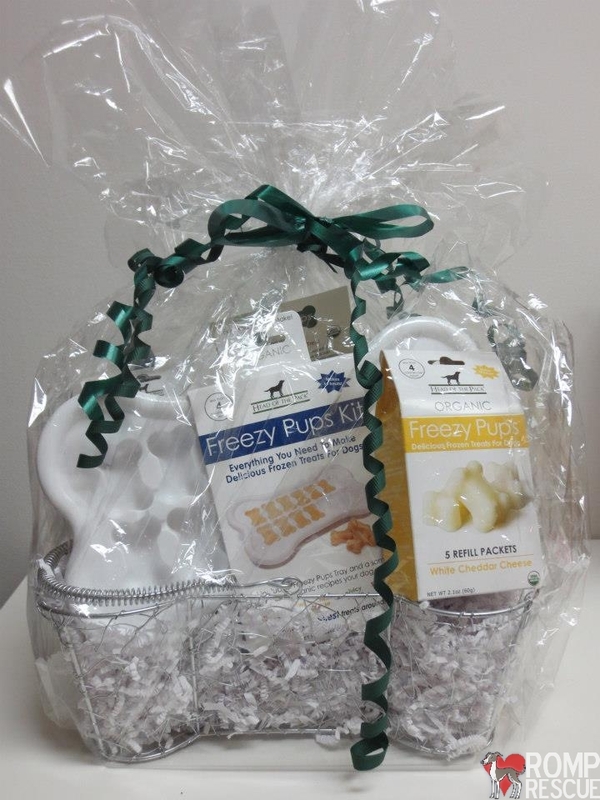 If you are looking for a unique treat for your pooch, we have the Head of the Pack organic freezy pup kits and refill packs up for auction! White cheddar cheese flavor, yum! Your dogs will thank you, bid now in our online fundraiser auction, click the link at the top! We hope you can participate in our auction, we will really benefit from the funds! If you have an item you would like to donate or have any questions, you can contact us on our page here. This entry was posted in ALL, Events and tagged action, adorable, all natural, art, art work, auction, audio, beehive trading, berner, bid, bidding, bluebery cobbler, bob o lot, botique, boutique, bowl, braided bulleysticks, braided stick, bratz, bulley sticks, bulleysticks, cat, cheddar cheese, chic, chicago, Chinese Cresteds, christmas, clothing, co, code, collar, collars, company, control easy, coupon, coupon code, crochet snood, custom, custom boots, custom made, cute, dafoxx, decorative, design, designer, discount, discount code, dog, dog scrunchie, dog that paints, dog tie, dog treats, donate, donation, etsy, facebook, fb, flavor, fleece, fresh breath, fundraiser, gaea, gift, gift basket, goodies, grey, greyhound, greyhound collar, hand made, handmade, head, head of the pack, healthy, holiday, home made, homemade, honest, honest kitchen, ig, ig vest, iggy, illinois, italian greyhound, Italian Greyhound Crossing, italian greyhound gift, italian greyhound shirt, italian greyhound vest, jammies, just be paws, kiss me im irish, kitchen, kitten, kitties, kitty, Kong, kong coupon code, kong gift basket, Kong goodie bone, kong knot, kong promo code, kong puppy, kong sample, kong squeaky, kong treats, large, leash, life jacket, lil, lil lupitas chic boutique, lillupitaschichboutique, limited edition, linda, liupitas, logo, machine washable, made, made in the usa, magnets, martingale, medium, michael vicks, milk bowl, mlg, my little greyhound, natural, naught and nice, naughty harness, nice harness, online, organic, outfit, pack, painting dog, peacock, pet, Pet Saver, petwear, pillow, pillows, polo, pottery, promo, promo code, radar, radar the paintar, radar the painting dog, recyclable, reindder, reindeer in training, remington, rescue, reversible harness vest, reversible vests by linda, romper, rvbl, san francisco, san francisco soap company, sdm, shaka, shaka dog, shift, sighthound, silly dog magnets, sillydogmagnets, small, snood, snoods, snuggle wear, snugglewear, snugglewearlux, soap, soap dish, sojos, spoiled, spoiled bratz wear, spoiledbratz, sprong, sprong dog toys, st patricks day, sugarspjs, the lost dogs, threads, toy, toys, training, tripe braided stick, tripe sticks, tuff lock, turbo, turbothreads, unique, usa, valentines day, vday, wag a tude, wear, west end, west paw, west paw coupon code, woof woofs, z-ridge, zack, zack and zoey, zoey, zuke, zukes. Bookmark the permalink.